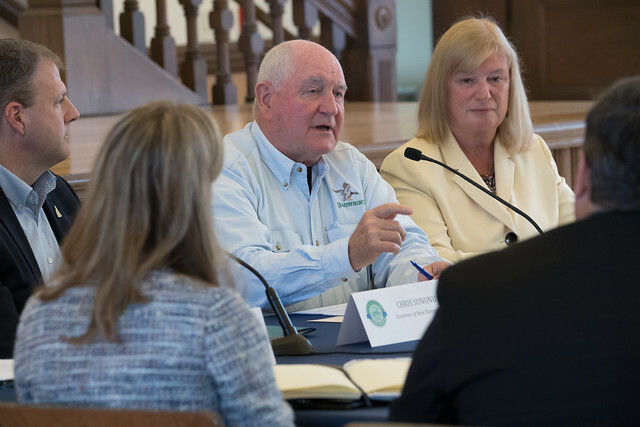 Agriculture Secretary Sonny Perdue hosts a task force listening session with state and local elected officials, industry leaders, farm bureau members, students, and local farmers, in Wolfeboro, New Hampshire, on Sept. 1, 2017. The focus of the listening session is on improving quality of life for people living in rural areas, including the opioid epidemic. USDA photo by Lance Cheung. Despite the grim subject matter depicted in TV and movies, opioid addiction is not confined to big cities. The effects of the opioid epidemic are more intense in rural communities where employment opportunities are often limited and isolation is pervasive. Between 1999 and 2015, opioid death rates in rural areas have quadrupled among those 18-to-25-year-olds and tripled for females. Perhaps most troubling is a fast-growing class of opioid victims had no say in the matter. In 2012, an estimated 21,732 babies – one every 25 minutes – were born with opioid withdrawal symptoms, a condition known as Neonatal Abstinence Syndrome (NAS). According to a study by University of Michigan and Vanderbilt University, NAS has risen twice as fast in rural areas compared with metropolitan areas. Healthcare plays a pivotal role in the treatment and prevention of addiction, but its outreach education resources are limited, particularly in rural areas. Fortunately, the Cooperative Extension Services managed by land-grant universities in each state are well positioned at the local level to provide free or low-cost prevention education activities designed to help improve mental and physical health and reduce pain. Such measures may serve to decrease opioid prescriptions and the potential for subsequent abuse. Secretary Perdue chaired the Interagency Task Force on Agriculture and Rural Prosperity in response to President Donald J. Trump’s Executive Order of April 25, 2017. On Jan. 8, 2018, he submitted the task force’s findings. The report identified over 100 recommendations for the federal government to consider in order to help improve life in rural America. The recommendations centered on these five areas: Achieving e-Connectivity in America, Improving Quality of Life, Supporting a Rural Workforce, Harnessing Technological Innovation, and Developing the Rural Economy. One of those areas – Improving Quality of Life – directly address the opioid use and abuse. “Improved access to mental and behavioral care, particularly access to prevention, treatment, and recovery resources is vital to address the nationwide opioid crisis and other substance misuse in rural communities. The Task Force recommends a multi-agency approach to align federal policies and programs for rural healthcare modernization… Within existing resources, a more efficient deployment of current taxpayer resources can more effectively address the rural healthcare needs,” the report cited. USDA’s National Institute of Food and Agriculture (NIFA) in November awarded $2.8 million in grants to support rural health. Of the nine awards funded by NIFA’s Rural Health and Safety Education (RHSE) Competitive Grant Program, six were designed specifically to prevent and reduce opioid abuse. The projects include education programs in Arkansas, Indiana, and Virginia; an intervention program in Iowa; and community engagement in Mississippi. In North Carolina, 4-H is partnering with the NC Office of Rural Health and county-based agencies to reach youth and families with health and wellness information that focuses on building strong families and substance abuse prevention. NIFA’s mission is to invest in and advance agricultural research, education, and extension to solve societal challenges. NIFA’s investments in transformative science directly support the long-term prosperity and global preeminence of U.S. agriculture. To learn more about NIFA’s impact on agricultural sciences, visit www.nifa.usda.gov/Impacts, sign up for updates, and follow us on Twitter @USDA_NIFA and #NIFAImpacts. Deaths from opioid overdose has skyrocketed in rural areas. Getty image. I also agree that this nation have an epidemic with opiods, oxyhydrocodone, heroin,method and all narcotic 2 drugs, that America's hospitals and pharmacies , doctors, nurses, or qualified personals in the medical field, are the first to diagnose their patience. This is the front line of the epidemic of a down spiral of unfortunate events for the patient, family, and as a nation, wishful thinking that money can solve all problems, in my eyes, I would have respectfully disagree. There is no safety net, for patients who is on an opioid treatment. There should be protocols, as I would say, have a solution A, B,C,Etc...until the problem gets resolve. A task that overwhelms any nations, but can be solve by collaborated appointed agencies, departments, and professional personals, if and only if , they are not blind or have no concern for this epidemic in our nation. If I had to solve this problem, case by case, I am no expertise in any professional field, back to solution 1, first of all, it begins with getting prescribe with narcotic 2 drugs, from the initial first visit with the their doctors. To be very blunt about this topic, this nation have to many broken systems, and dishonest appointed officials who will not take accountability or address the topic with urgent concern. Not utilizing 100 %, the power invested in them to solve a concern nation for the future of our children's , children. If I had offended anyone, my apologies, it was not my intentions , I am just a concern citizen of this great nation we call America. I have a sister-in-law who suffered from opioid addiction. Thanks to the treatment she received and the support of family, she has turned her life around and is doing great. This led to my researching and learning more about this growing epidemic. Opioid use disorder (OUD) has reached crisis status in the United States. 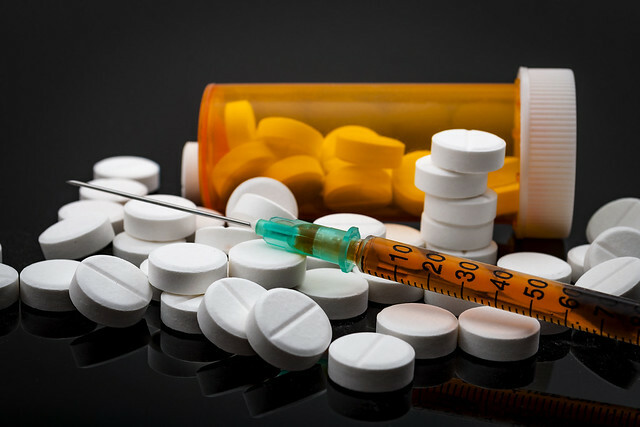 The Centers for Disease Control and Prevention estimates that the total "economic burden" of prescription opioid misuse alone in the United States is $78.5 billion a year, including the costs of healthcare, lost productivity, addiction treatment, and criminal justice involvement (NIDA, 2018). It all began in the 1990’s when doctors were assured by pharmaceutical companies that these painkillers are not addictive resulting in more prescriptions being written. It is estimated that approximately 100 million adults suffer from chronic pain. Because of this, there is an increase in the use of pain relievers including opioids. Along with this necessary use, there has been a rise in the non-medical use of these drugs. These uses are segregated into three categories based on distinct characteristics and attendant groups: (1) intentional abuse, (2) therapeutic error and (3) accidental exposure (Havens et al., 2007; Katz et al., 2008; National Drug Intelligence Center, 2001). One issue facing the patients addicted to opioids and other substances is the stigma that goes along with mental illness. Unfortunately, our society does not accept that mental illness needs to be treated; that the patient can control his or her addiction. This is not true. The addict needs the love and support from family and friends along with counseling and medical treatment to overcome their addiction. We, as a society, need to support the treatment of this disease, not ignore it and hope it goes away.